Ripple is the cryptocurrency that has beaten many other digital currencies both in value and market cap. It has shown a growth of about %35000 in a year. In its growth journey, it has beaten both LiteCoin and Ethereum. The cryptocurrerncy experts judge the value of the digital currency by its market cap. Bitcoin is the leading digital currency both in terms of market cap and value. The experts are hopeful that 2018 will prove a fruitful year for Ripple XRP. 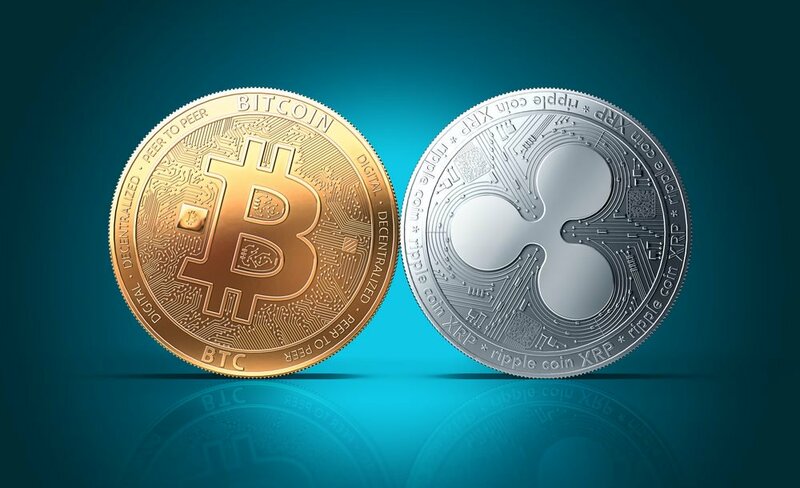 The experts have calculated that Ripple may cross Bitcoin in terms of market cap if its value reaches $ 6.80. Here, it is pertinent to mention that Ripple has already crossed Ethereum and LiteCoin in market cap. The currency is hitting all time new values in current month. Bitcoin has taken a quiet start in 2018. Due to latest blockchain networks, the other currencies are beating Bitcoin in terms of transactions speed. For example, Ripple is ten times faster than Bitcoin. The cross border transactions take place in seconds under its blockchain network. This is why many large banks, credit card companies, and payment platforms are adopting its blockchain technology. Two days ago, the news of the joining of the three big payment companies has further strengthened the value of Ripple. Here, it is important to note that the values of Ethereum and Ripple are overlapping each other in terms of coin value. One thing good for Ripple is that it does not have to attain much value to become the largest cryptocurrency by market cap. In simple words, touching $ 6.80, Ripple would become the largest cryptocurrency of the world. Its market cap would increase than Ripple. The market cap of Ripple XRP was recorded $ 96.46 billion on Monday against Bitcoin’s $ 254.2 billion. An increase of about 164.5 percent in the value of cryptocurrency Ripple would beat Bitcoin. It seems quiet hopeful by keeping in mind that the currency showed an increase of about 35000 percent in the last year. Ethereum is also the cryptocurrency that is in the race. It has a market cap of about $ 112.6 billion. A 132 percent increase in the value of Ethereum would make it largest cryptocurrency. This is lower than Ripple XRP but Ripple is showing more bullish signs than Ether. The record low dominance of Bitcoin and an alarming increase in the value of Ripple makes it understandable that the currency would beat Bitcoin in 2018. Some people are also showing concerns over the utility of the tokens. Actually, the coins do not have much value as compared to platform itself. And, it is also a fact that using Ripple’s platform does not require investment in XRP. Still, Brad Garlinghouse, the CEO of Ripple is hopeful that the value of the coin will show surge and it will prove a big blow for Bitcoin. In the end, we can say that people have understood that Bitcoin is not the only cryptocurrency to invest. Instead, Ripple is proving more efficient in fast processing of cross border payments.